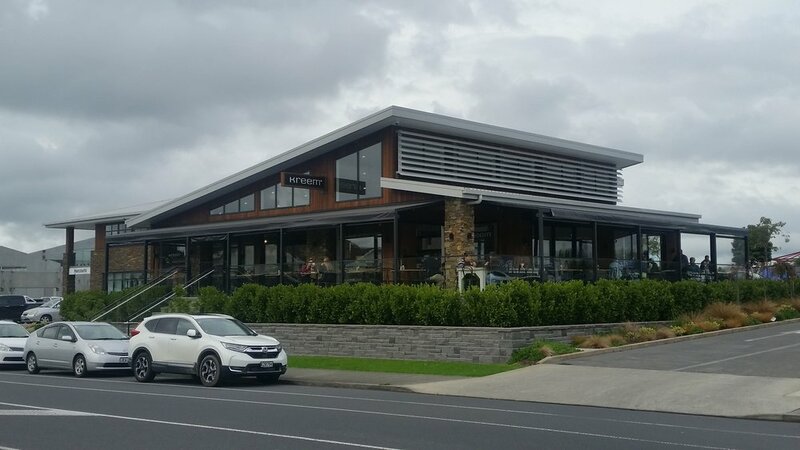 ACH engineers worked alongside Architect DJ Design to develop a new purpose built premises for Kreem Café in Universal Drive, Henderson. The building features polished concrete floors, stone veneer exterior cladding and exposed structural steel. Coupled with great styling, vases of flowers, cookbooks on big roll-away tables, and beautiful timber tabletops from Forte. The fit-out is comfortable and popular. 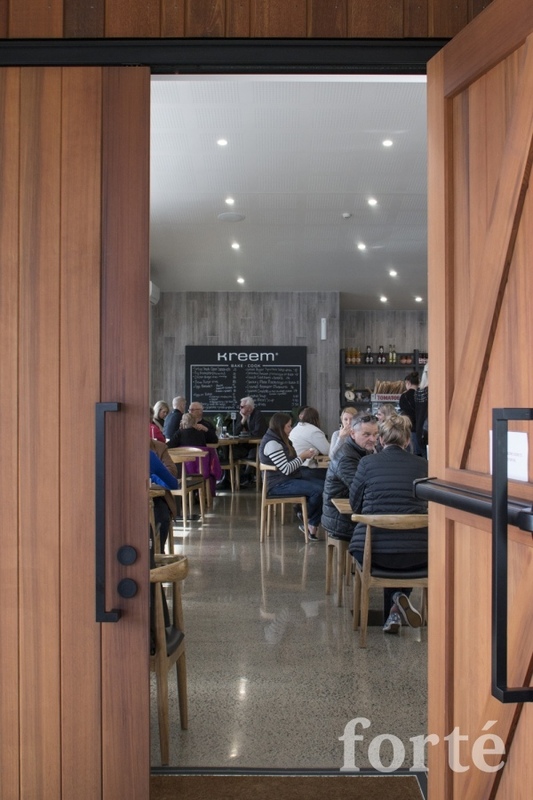 Architect Denise Oliphant has used extensive areas of glazing and a high sloping ceiling to create an indoor outdoor connection with the perimeter verandah areas on the northern and western elevations. 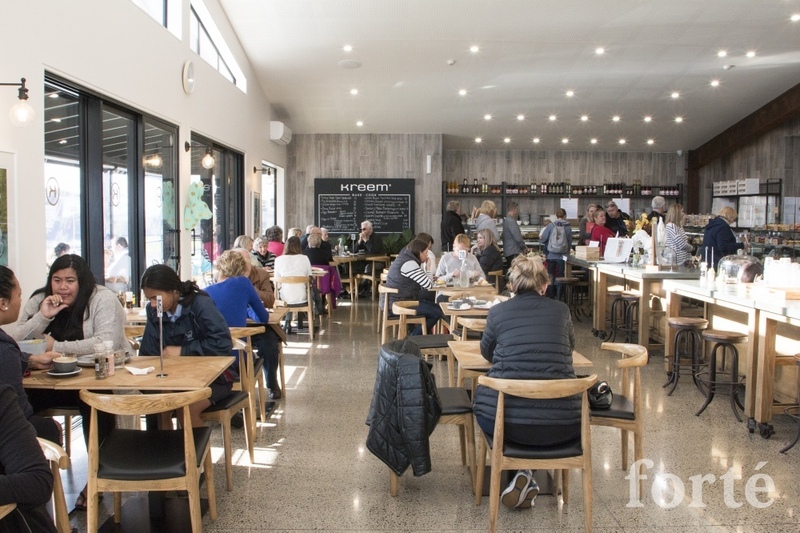 Kreem has become a popular meeting place for both locals and visitors and has been well patronised since opening in 2017.